If you like wine, chances are you also like chocolate! So here is a sweet gift that will go along with the gift bottle from yesterday's post! Inside is a single Ferrero-Rocher chocolate wrapped inside a mini organza bag. The organza bag gives it a little stability so it won't roll around inside the box too much. I thank you for looking today! I hope you have a fabulous week. Take care and come back soon. 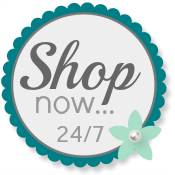 Please shop my Online Store for Stampin' Up! any time! Oh, Patti! I LOVE this tag. I have been on the fence about this set. Now I have to get it! Great job! And yes...who doesn't love chocolate!